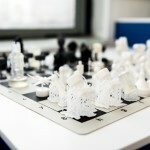 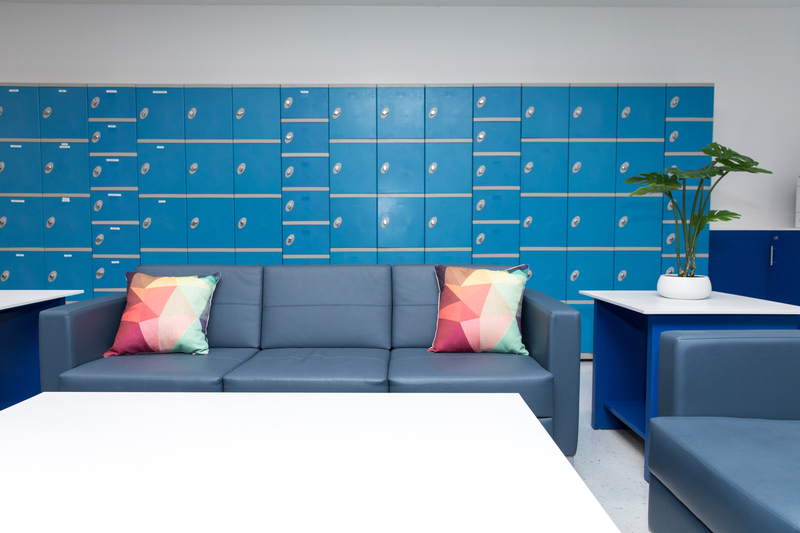 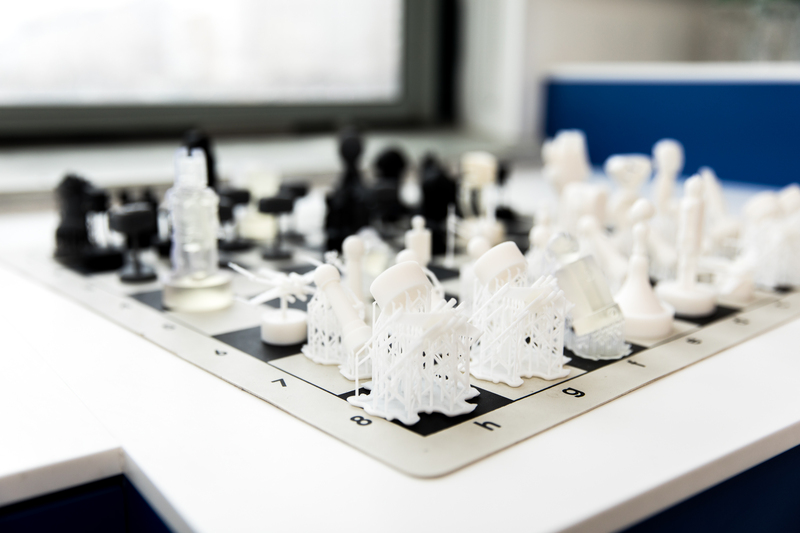 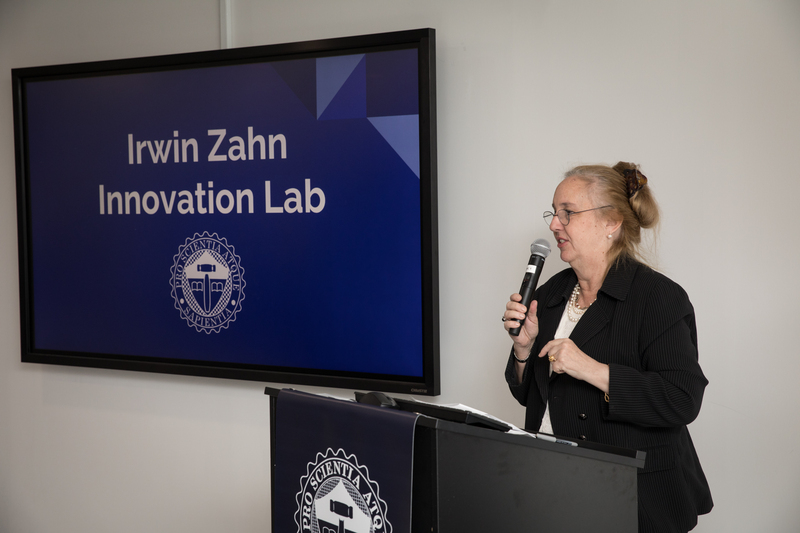 The opening of the Lab was the culmination of a multi-year process with funding coming from a mix of public and private funds. 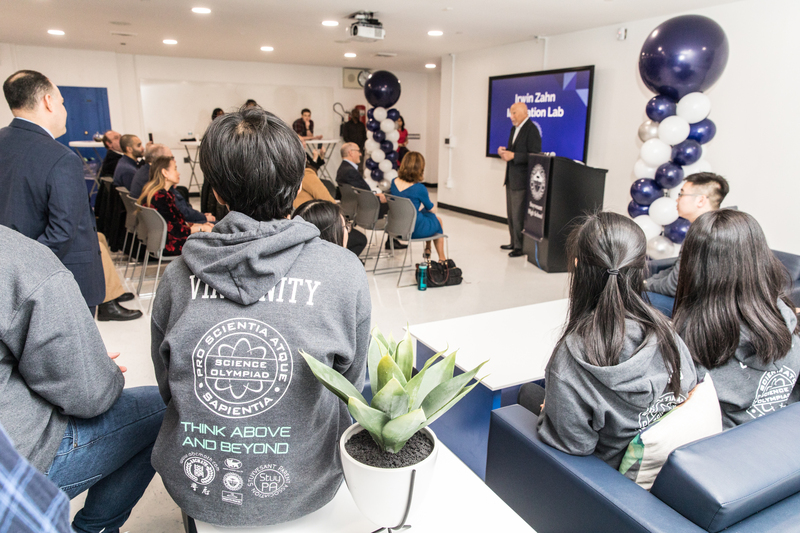 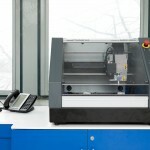 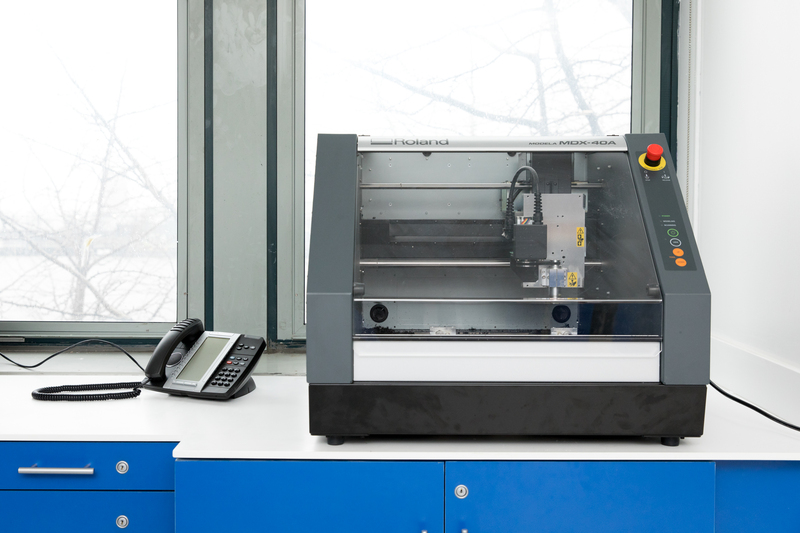 The total cost of the Lab with equipment, materials, and program sustainability funding was over a million dollars. 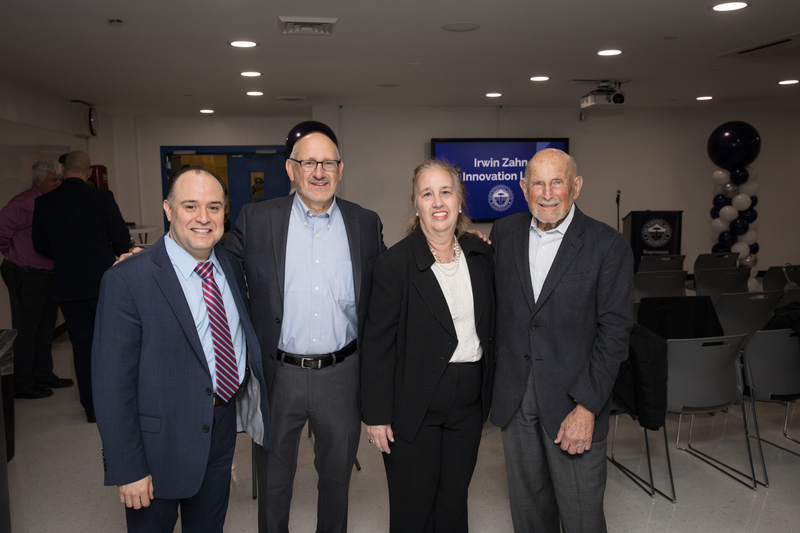 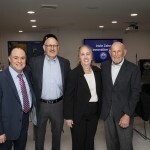 The Moxie Foundation, headed by Stuyvesant ’44 alumnus, Irwin Zahn, donated the initial seed funding in 2015 as well as follow-on capital this year. 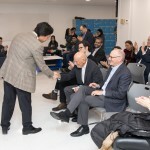 Public funding was provided by Manhattan Borough President Gale Brewer and New York City Council Member Margaret Chin in 2017. 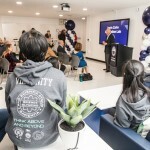 Private funding was provided by the Stuyvesant High School Alumni Association and the Stuyvesant High School Parents Association. 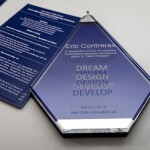 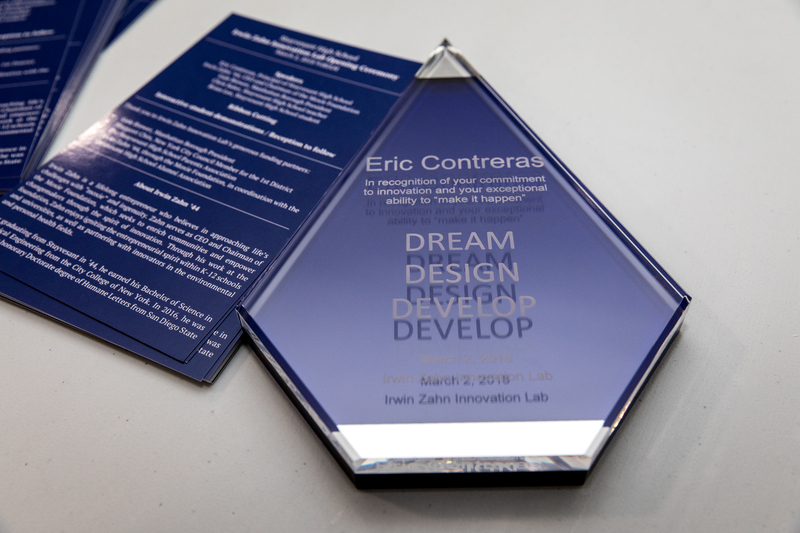 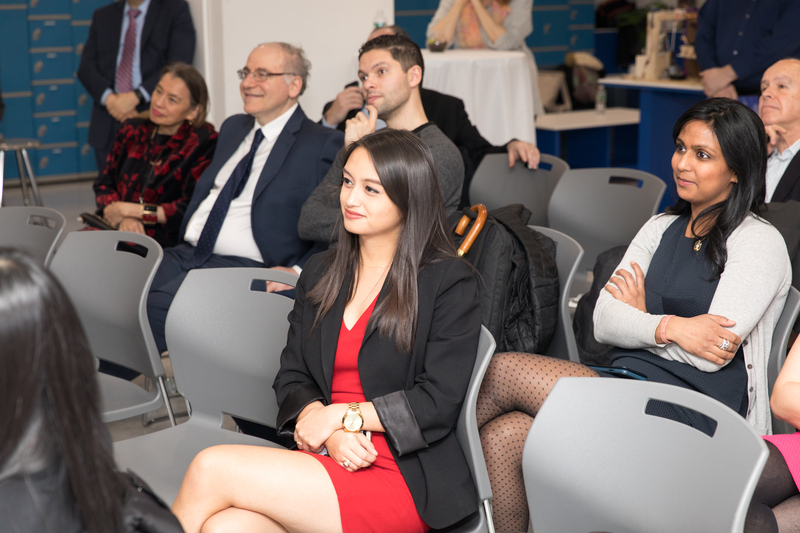 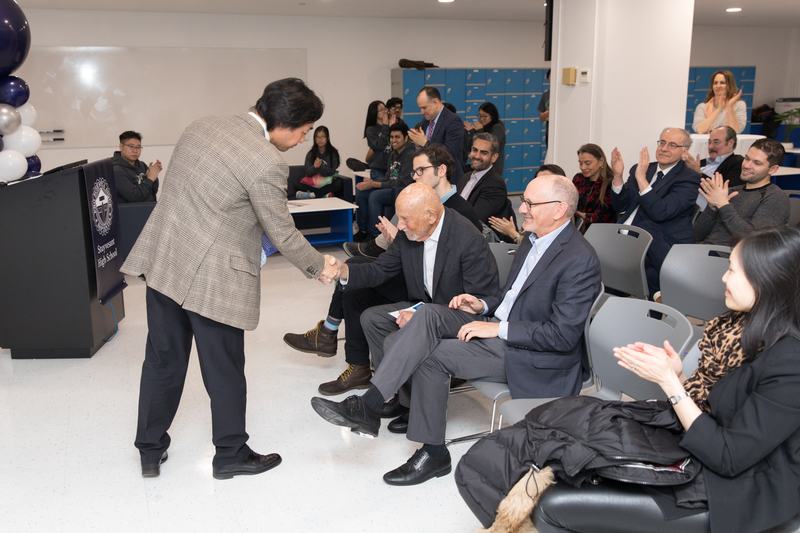 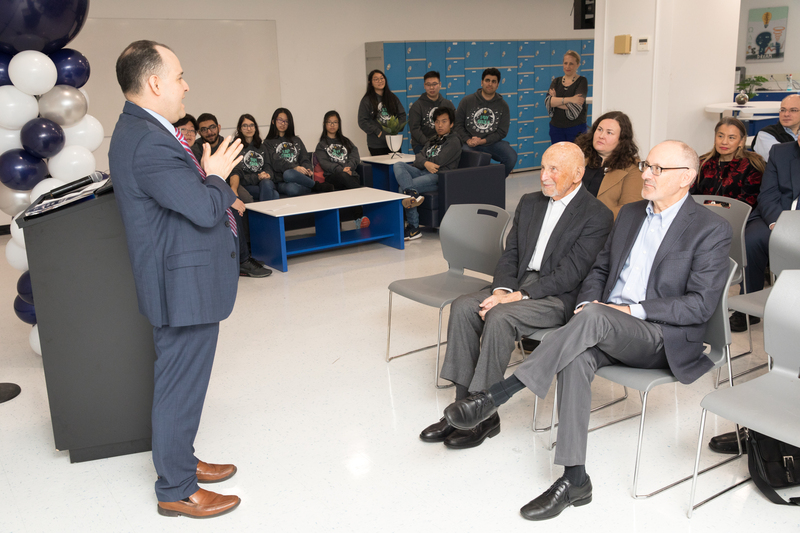 Since becoming Principal of Stuyvesant two years ago, Mr. Contreras has made it his personal mission to create new learning spaces that prepare today’s students to be tomorrow’s innovators. 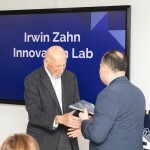 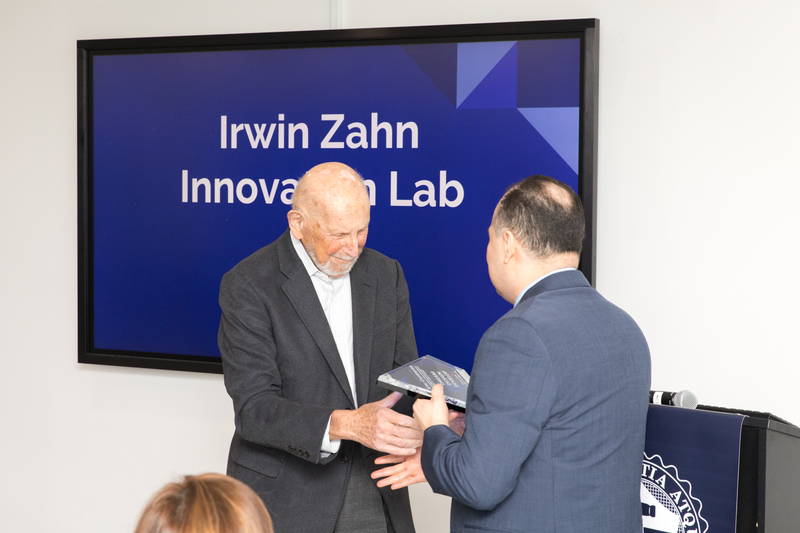 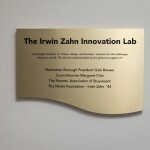 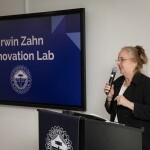 The Irwin Zahn Innovation Lab will enable the school to create new technology classes that are critical for 21st Century problem solving. 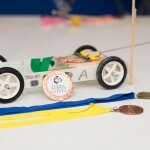 These classes include aerospace engineering, artificial intelligence, civil engineering and engineering design. 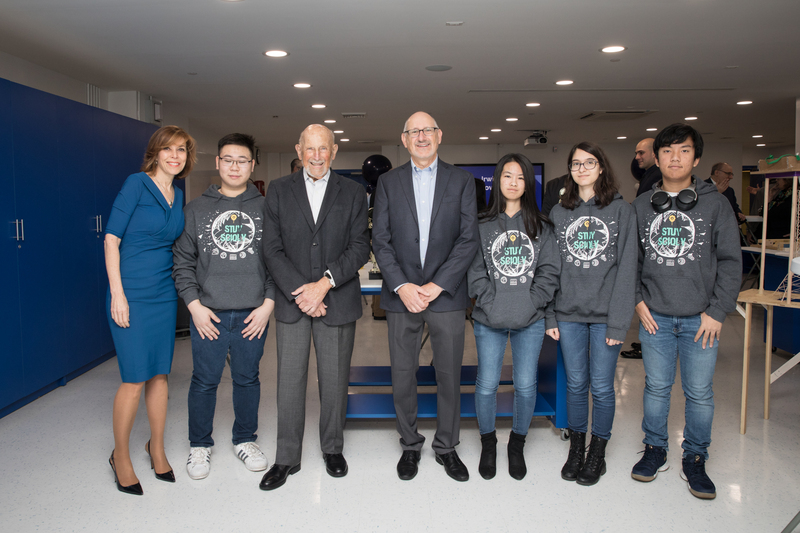 Other speakers at the opening ceremony included Manhattan Borough President Gale Brewer, presidents of both the Alumni Association and the Parents Association, faculty members, and the student leaders of the Science Olympiad team. 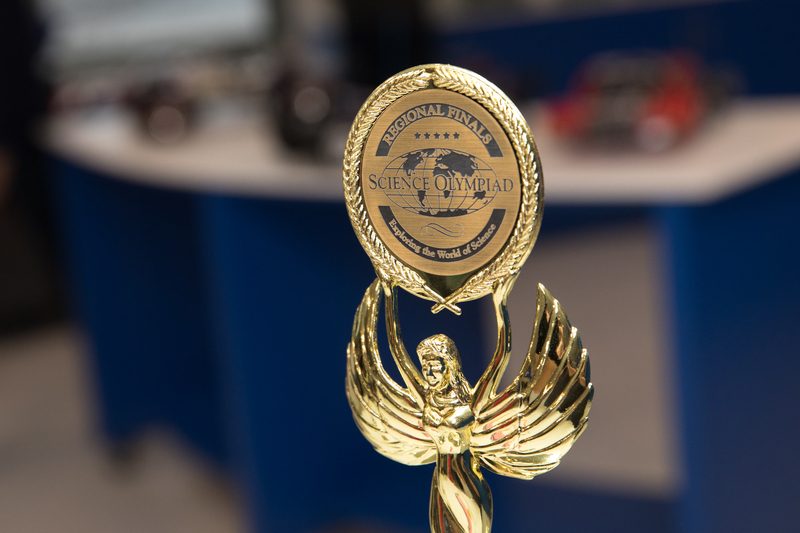 Students of Science Olympiad have already been using the facility after school to prepare for their competitions. 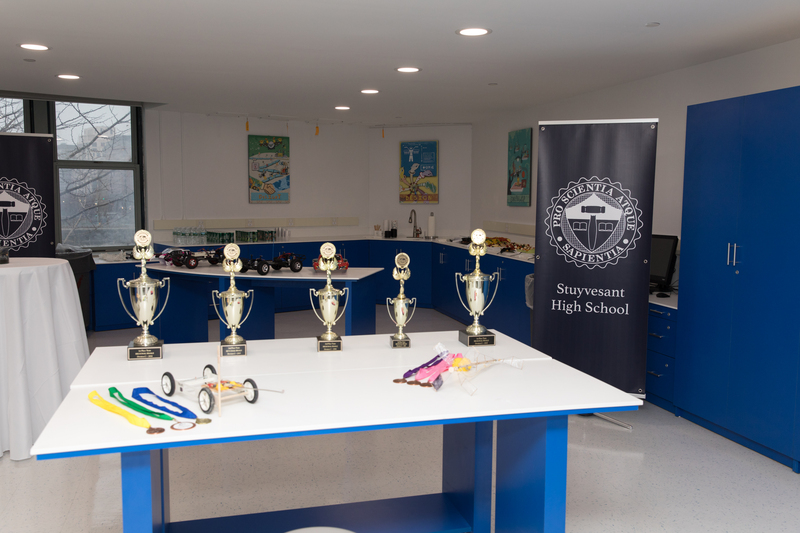 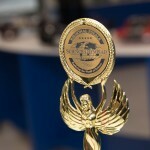 Stuyvesant’s Science Olympiad team has done particularly well this year and has finally regained its NYC crown for the first time in five years. 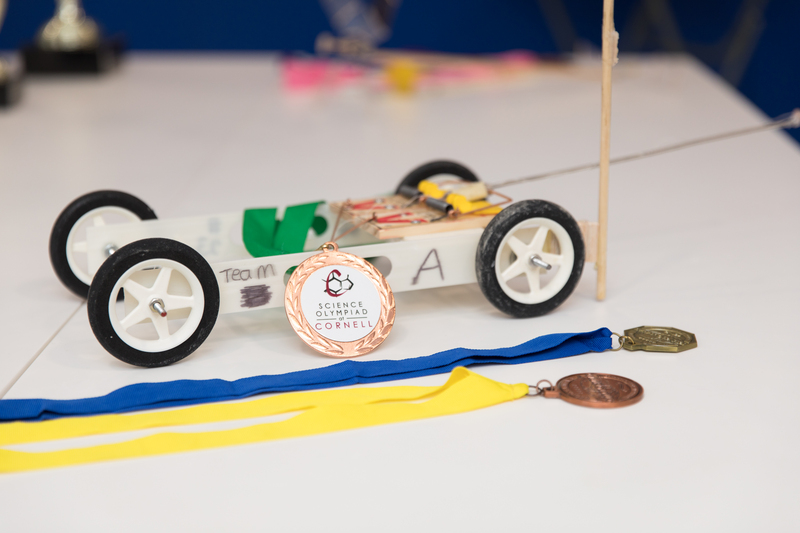 Brian Lee, the President of Science Olympiad, credited the new Innovation Lab as a huge contributor to their success. 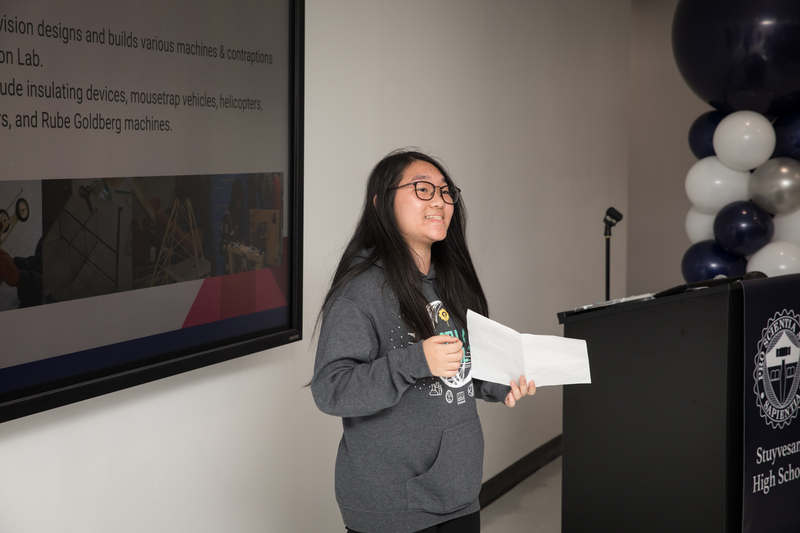 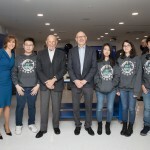 Christine Wu, the Vice-President of the team, thanked Mr. Zahn and the school for not just providing the team with the facility to finally compete at a higher level but also for opening her eyes to the wonders of science and technology. 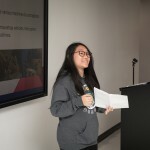 Her experiences working with her teammates in the Lab have given her new thoughts and inspiration for her future career paths. 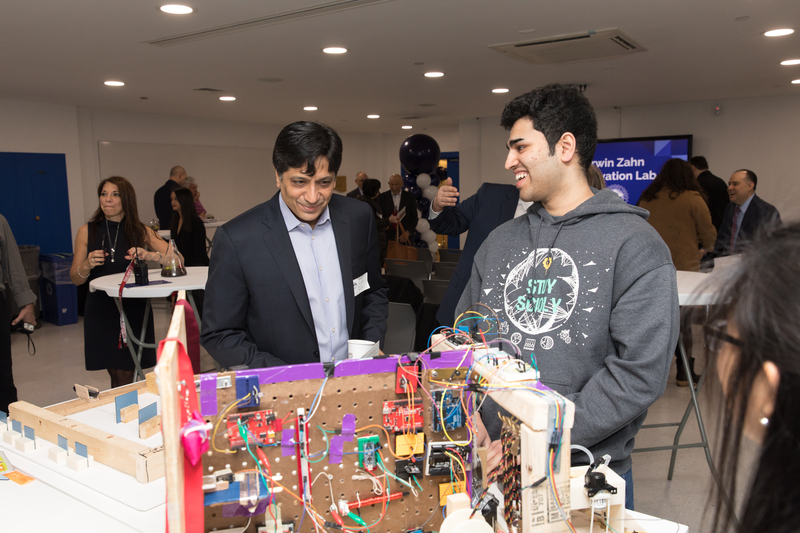 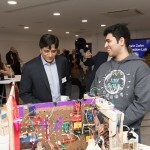 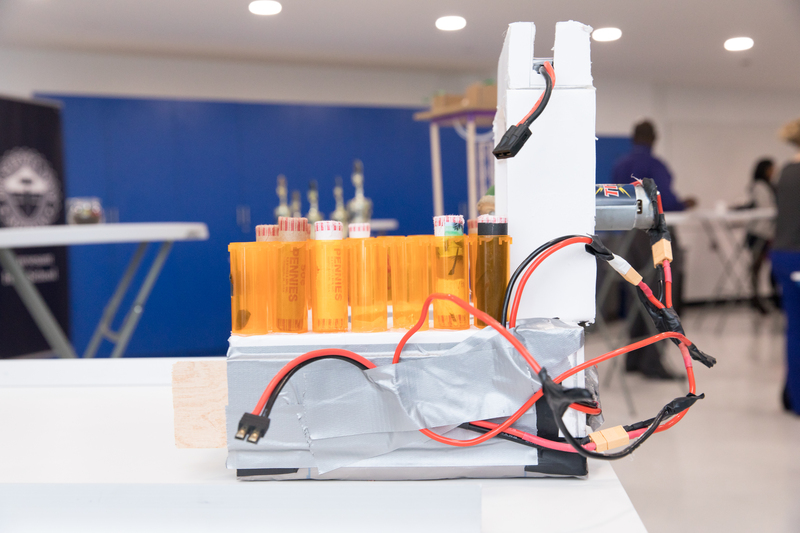 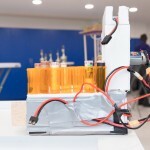 After the speeches, the opening ceremony ended with attendees participating in interactive demonstrations of the machines and devices that the students have made in the Innovation Lab. 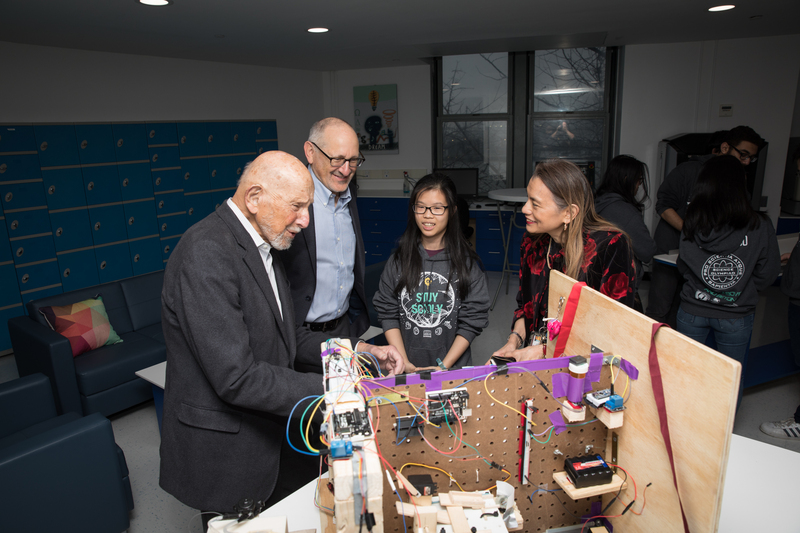 To help Principal Contreras fulfill his other plans to make Stuyvesant better, please donate to the Abe Baumel Legacy Fund. 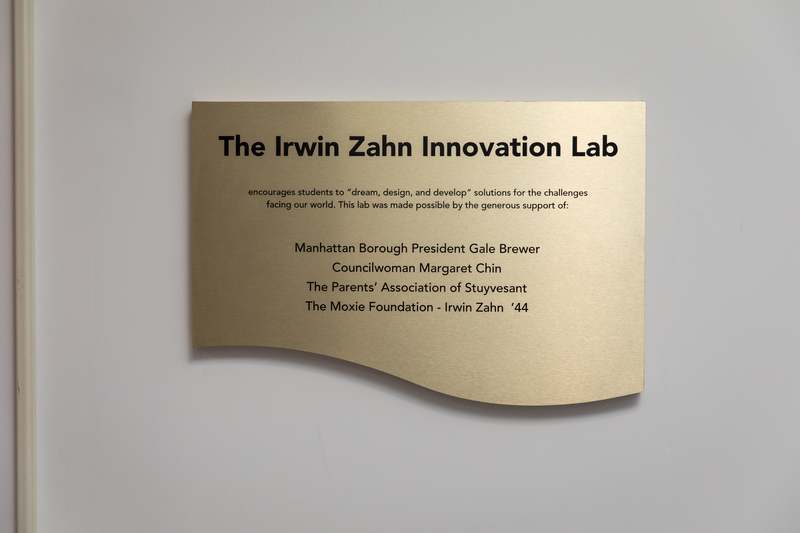 To learn more about the Abe Baumel Legacy Fund, click here.